Andy has worked at every level of music education from Early Years settings to Post Graduate teaching at Conservatoires and Universities around the world. For over fifteen years he has been, and remains, an associate lecturer at Bath Spa University Institute for Education where he teaches on the specialist secondary music PGCE course. Andy was for many years the Head of Bristol Arts and Music Service which he built into a leading music support service and where he pioneered the introduction of world music styles for class instrumental teaching setting new standards in accessibility and inclusion. He was the director of the Bristol Centre for Music and the Arts and he established and was the first Head of the Music Education Hub “Bristol Plays Music”. He has also served on the Music Hub Advisory Group of Arts Council England. 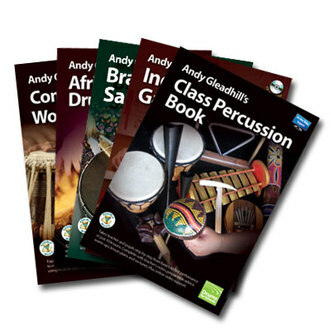 Andy has also worked as an examiner for the Guildhall school of Music and Drama and Trinity College London, has co-authored the Trinity/Guildhall Drum Kit examination syllabus and has been retained as a consultant to the ABRSM where he co-authored their pilot Drum Kit syllabus. Among many other teaching engagements at Schools, Colleges and Universities around the world.